Striking colours and just a bit of glitz are the key elements to this stunning cake. Share the cost and buy a cake together! 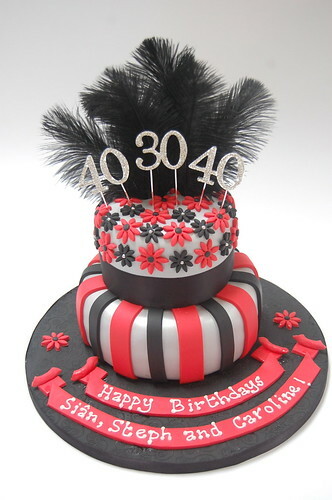 The Joint Black Feather Birthday Cake – from £90. The cake made a fantastic centrepiece at our party and was as always absolutely delicious. Thank you so much.